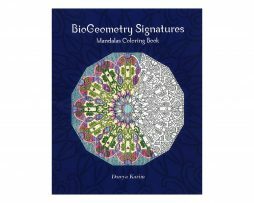 The BioGeometry Signatures Mandalas Coloring Book includes a collection of 20 mandalas which combine the beneficial meditative effects of Mandala coloring and the… subtle energy balancing harmonization achieved using BioGeometry Signatures designs. Mandalas, by virtue of their design, focus our minds towards the center of circle, a special point that goes beyond time and space. BioGeometry Signatures are linear diagrams that represent specific energetic patterns found within the body’s organs (similar in concept to how the Chinese energy meridians take the shape of and represent the energy flow of the human body). By introducing the BioGeometry Signatures into the Mandala designs each Mandala allows us to communicate with our internal energy structure while pulling us into a meditative stress releasing state through a detailed coloring experience. This first-ever published collection of writings by Dr. Ibrahim Karim reflects the holistic essence of his worldview. 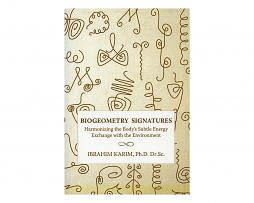 Dr Karim is the founder of the Science of BioGeometry in the early 1970s. BioGeometry is the science that uses shapes, colors, motion and sound to induce harmony into the subtle energy qualities of the environment. At the core of this harmony is a subtle energy quality found in the transcendental centers of the forming process of nature and is the main quality in sacred power spots of humanity that give a spiritual dimension to the timeless monuments erected since the dawn of humanity. 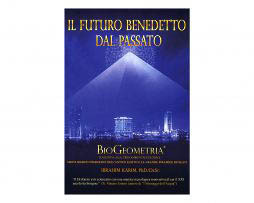 Italian version: This first-ever published collection of writings by Dr. Ibrahim Karim reflects the holistic essence of his worldview. Dr Karim is the founder of the Science of BioGeometry … in the early 1970s. BioGeometry is the science that uses shapes, colors, motion and sound to induce harmony into the subtle energy qualities of the environment. At the core of this harmony is a subtle energy quality found in the transcendental centers of the forming process of nature and is the main quality in sacred power spots of humanity that give a spiritual dimension to the timeless monuments erected since the dawn of humanity. 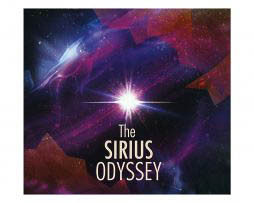 This amazing musical composition has been specifically composed using proprietary BioGeometry principles, which harmonize both the environment and the human body.